At 9am, you will be picked up by our English-speaking tour guide and driver and then transfer to Beijing city. Today the guide will lead you to visit Tiananmen Square and Forbidden City. Tiananmen Square can be considered as one of the most representative landmarks of Beijing. 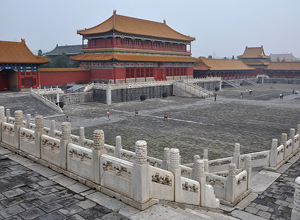 Forbidden City, also called the Palace Museum, is one of the sights that every Beijing visitor must see. Here you can have an intuitive feeling of the ancient Chinese people’s considerable skills in building it. At the end of the day, we will transfer you back to the hotel. Pick you up from the hotel by our English-speaking tour guide and driver. Today’s arrangement is going to visit the Badaling Great Wall and Ming Tombs. Badaling Great Wall is an ancient military defense project and gradually becomes the symbol and proud of China. After lunch, we are proceeding with Ming Tombs. Ming Tombs are the best preserved Chinese imperial tombs and have been nominated by UNESCO as world cultural heritage. After the tour, we’ll transfer you back to the hotel. Our English-speaking tour guide will pick you up from your hotel. Then you will be scheduled to visit the sites of the Summer Palace and the Temple of Heaven. Summer Palace is an royal garden which definitely a gorgeous place to relax, escape the smoke and crowds of the city. After lunch, we will go to the Temple of Heaven which an ancient altar where the emperors pray for good harvest. When we end today’s tour, we will transfer you back to the Tianjin Port before 4pm. Our travel advisor just sent an email to you, please take a look. Thanks!